Sold AS Is. Charming starter home in Deer Park. This home is ready for the next Chapter. With a little TLoveC these Cathedral Ceilings, wood burning fireplace, den, patio and large backyard will turn heads. Great community, peace of mind. Directions:From Downtown take 45 south towards Galveston. Follow signs towards Pasadena 225. Exit East Blvd, then turn right on EP then left on Park Shadow. SchoolsClick map icons below to view information for schools near 3313 Park Shadow Ln Deer Park, TX 77536. Listing provided courtesy of Executive Texas Realty. Home for sale at 3313 Park Shadow Ln Deer Park, TX 77536. 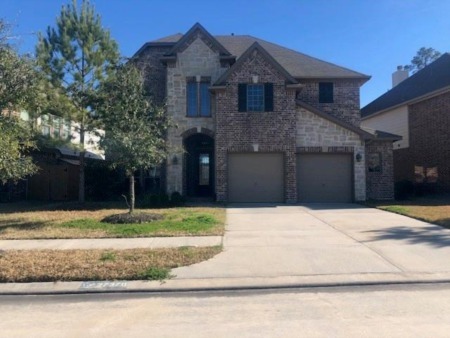 Description: The home at 3313 Park Shadow Ln Deer Park, TX 77536 with the MLS Number 52597954 is currently listed at $170,000 and has been on the Deer Park market for 17 days. You are viewing the MLS property details of the home for sale at 3313 Park Shadow Ln Deer Park, TX 77536, which is located in the Park Meadows Sec 02 subdivision, includes 3 bedrooms and 2 bathrooms, and has approximately 1191 sq.ft. of living area.